Since our Pastor first began his formal Pastoral Ministry as a Student Associate in 1980, he has been involved in ministry in the community. His greatest joy continues to be preaching, and he is convinced that sound, expository and evangelical proclamation of God’s Word lies at the heart of any kind of genuine renewal and hope. Closely connected with his emphasis on preaching is his thorough enjoyment of the teaching aspect of ministry where interaction, questioning and journeying together are experienced. His door is always open to those who need a compassionate listener. Pastor Phil’s ministry extends beyond the local community. 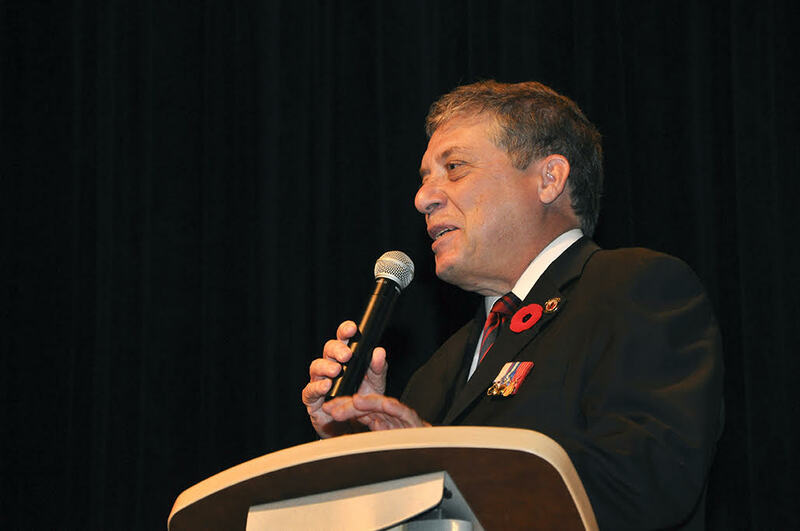 He serves as the National Program Director of Wounded Warriors Canada an organization in which he has served in various capacities since its founding in 2006, including serving as Chair for two years. As Program Director he oversees the implementation of a robust and exciting slate of transformative programming benefiting Veterans, First Responders and their families. In 2017 the charity will fund over $2M in direct programming. For over a quarter century until releasing from the Canadian Armed Forces in 2016, Phil served our nation as the Regimental Chaplain to the 32 Combat Engineer Regiment (formally 2nd Field Engineer Regiment) in Toronto. In that capacity he was exposed to challenges and needs of today’s veterans. As a Canadian Armed Forces Chaplain, Phil has been directly involved in a number of notifications to the families of Canadian Forces Personnel, including notifications that have resulted from both overseas and domestic situations. Having seen firsthand the effects of deployments on our Veterans he has a passion to contribute to assisting today’s Veterans towards wholeness and healing. Beyond military and congregational ministry, Pastor Ralph has been active in the wider community by serving on the Boards of a number of agencies dedicated to assisting those in need, including the North York Emergency Needs Network (Treasurer and Chairman), Foodshare Metro Toronto, the North York Harvest Food Bank (three terms as Chairman). Pastor Phil holds a Bachelor of Theology degree from Ontario Bible College and a Master of Divinity degree from Ontario Theological Seminary. His work in the community has been well received. Largely due to his work with the Food Bank, he was awarded the Canada 125 Medal, given for “Significant Contributions to Canada.” In 2002 he was awarded the Queen’s Golden Jubilee Medal, primarily for his contributions to the Public School Community. He is also the recipient of the Canadian Forces Decoration. Ajax Baptist Church has served as a vital part of the community since 1945. For almost three quarters of a century, we have witnessed many changes that have taken place in both our community and the world at large. As life in the 21st century grows increasingly more complex with technological breakthroughs and the resultant new ethical dilemmas, the challenges of life in such a world often leave us feeling overwhelmed and confused. The Biblical Psalmist once asked, “When the foundations are being destroyed, what can the righteous do?” As the very moral structure and fibre of our society is being challenged, we at Ajax Baptist Church continue to minister and proclaim the changeless, eternal message of Jesus Christ, who is “the same yesterday and today and forever”, as the answer to the deepest longings of the human heart. At the same time, we encourage thoughtful reflection on the issues that concern us today. Join us as we worship and grow together in Christ within the context of a warm and caring Church family.